How do I remove a pending invite? 1. Go to your early learning service's ‘Teachers’ page. 2. 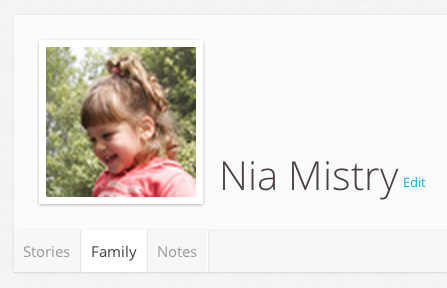 If someone hasn’t yet accepted your invitation to Storypark, they’ll have an ‘Invite pending’ label on their tile. 3. If you click the small arrow in the corner of their tile, you’re given the option to ‘Resend invite’ or ‘Remove’. 4. You can then give the person a gentle reminder by selecting the ‘Resend invite’ option which will send them another email to the same address. 5. Or, you can select ‘Remove’ which will remove that person from your pending invitations. You may want to do this if you originally sent the invite to the wrong address. In this case you’d ‘Remove’ the invite, and re-invite them again with a correct email address. 1. Go to your early learning service’s ‘Children’ page. 2. Find the child who’s parent hasn’t yet accepted your invitation to Storypark – it should say ‘Pending invite’ with an email address in brackets. 3. Click the red ‘x’. 4. Confirm you want to delete the invite, and a blue ‘Invite parent’ button will appear signalling there is now no pending invite. 1. Go to your child's ‘Family’ page. 1. Go to your child’s page. 2. In the panel that includes your child’s profile picture, click the ‘Early learning services’ link. 3. If the early learning service hasn’t yet accepted your invitation to Storypark, they’ll have ‘Pending’ next to their name. 4. Click the red ‘x’. 5. Confirm you want to delete the invite, and the pending invite will be removed.